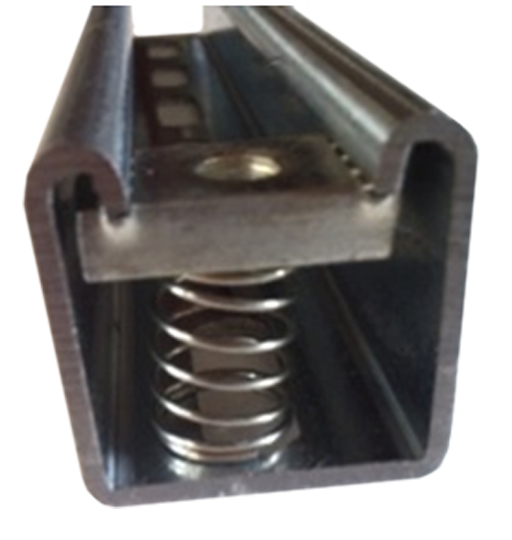 Hot Dip Galvanised u-strut suitable for supporting suspended ducting systems. Suitable for interior and exterior applications. Compatible with OCT-SN-M10/L 10mm thraded zinc spring nut. See technical specifications for load ratings.